Maintaining a consistent, healthy diet is critical for children’s development, acording to Dr. Angela Odoms-Young. For children, food is critical to a healthy life. Meal programs throughout Cook County provide an important source of nutrition support, but their benefits go well beyond a full stomach. Dr. Angela Odoms-Young, an assistant professor in the University of Illinois at Chicago’s Department of Kinesiology and Nutrition and a Greater Chicago Food Depository board member, has studied the effects of hunger on children. A lack of consistent nutrition can cause significant issues for children, such as behavioral problems and reduced academic performance, Angela said. For children, achieving those results starts at breakfast. But, many children don’t eat breakfast before coming to school, which is why the Food Depository advocates for the expansion of school breakfast. “Children who eat breakfast have a better dietary quality and there’s also evidence to suggest that breakfast increases cognitive performance throughout the day,” Angela said. 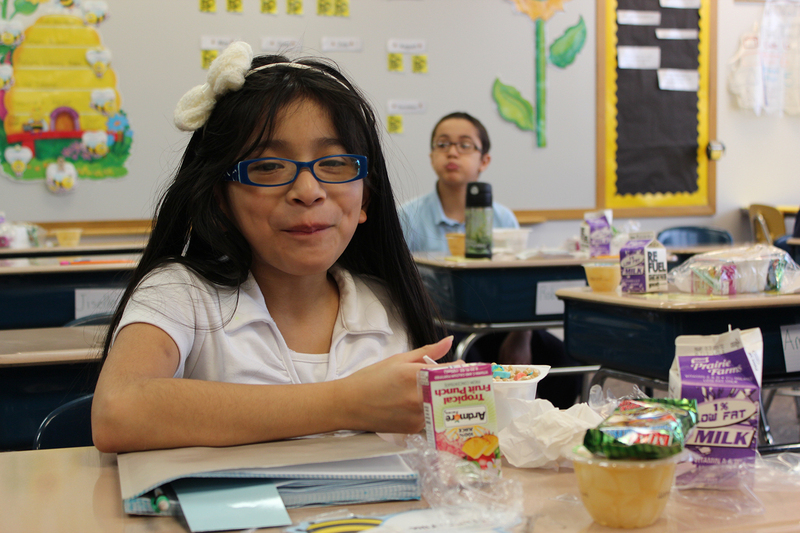 For food insecure children, after school and summer meals at home are not guaranteed. Programs such as the Food Depository’s Kids Cafe make sure children have the food they need after classes are over. Children’s meal programs are federally funded by Child Nutrition Reauthorization, which is set to expire at the end of September. A reduction in funding could have dramatic effects on children’s health, Angela said. Click here to receive updates on the Food Depository’s advocacy efforts and learn more ways to get involved.